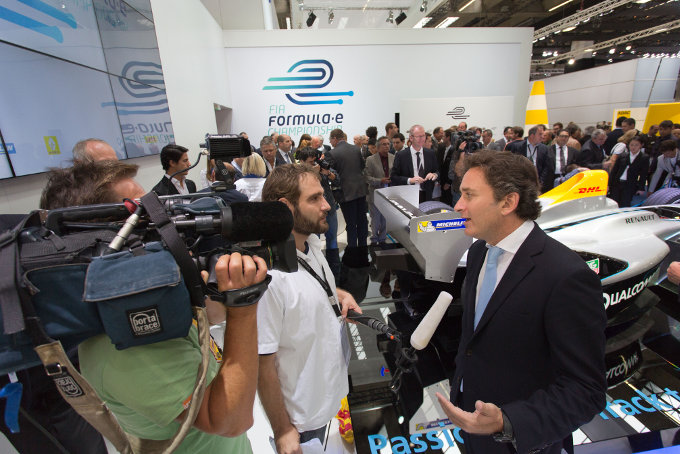 All 10 rounds of the 2014/2015 FIA Formula E Championship will be televised live and free-to-air in the UK after series organisers today (17 March) confirmed a broadcast deal with leading UK network ITV. Brokered by international media company MP & Silva, the ITV agreement adds to existing deals with FOX Sports and Japan’s TV Asahi. Live coverage will be screened on ITV4 and ITV4 HD, alongside coverage on www.itv.com. The programme will also be available via the on-demand ITV Player service. All programmes will feature comprehensive coverage of each live race together with pre-race build-up – including highlights from the day’s earlier practice and qualifying sessions - podium celebrations and post-race interviews. ITV4 is one of the UK's leading channels for motorsport coverage already screening extensive coverage of the British Touring Car Championship, along with British Superbikes and the World Rally Championship. ITV joins previously announced broadcasters FOX Sports and TV Asahi who have all committed to showing live coverage of Formula E races. The FOX Sports deal alone covers 88 territories around the world and a potential global audience of 180million households, whilst TV Asahi boasts a household reach of 51.4million. All Formula E events take place across a single day (Saturday) with races beginning at 16:00 local time. Further TV deals will be announced in the coming weeks.